^ Erdbrink, Thomas; Sly, Liz (23 August 2011). "Libyan rebels storm Gaddafi compound in Tripoli". The Washington Post. Retrieved 23 August 2011. ^ Stephen, Christopher (24 August 2011). "Libyan rebels advance on Gaddafi's home town". The Guardian. www.guardian.co.uk. Retrieved 24 August 2011. 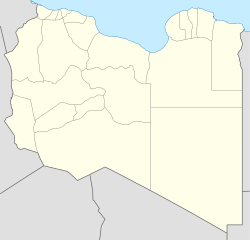 ^ "Libya rebels in "fierce" fight for Sabha--spokesman". Reuters. 23 August 2011. Retrieved 24 August 2011.